For most of us, buying a home is one of the biggest financial commitments that we will face and yet mortgage protection is a box ticking exercise. While this shouldn’t make sense unfortunately this is the reality! We have put together a mortgage protection cheat sheet for those jumping onto the property ladder! 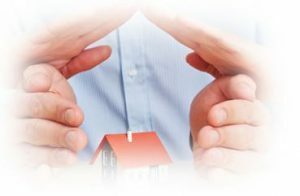 So what is mortgage protection? A mortgage protection plan will pay off the outstanding balance on your mortgage if you die during the term of the mortgage. Why do we need this? Lending institutions require some security that in the event of death the loan amount will be cleared and they will not be left out of pocket. How does it work? The mortgage protection level of cover tracks the outstanding balance of the mortgage. Typically this is calculated based on the interest rate applied to the mortgage. Who sells mortgage protection? Mortgage protection policies are sold through a variety of channels. Typically if you are obtaining a mortgage via a bank directly they will offer a block policy to you. Alternatively you can seek independent advice for the exact same price and have a variety of providers to choose from. Seek independent advice; don’t just accept the policy sold to you by the lending institution. Let banks look after what they specialise in (Mortgages). Don’t just take out a policy covering your mortgage to the exact penny there are other options available. If you are getting a joint mortgage don’t go with a joint life policy, seek quotations for dual life. In the majority of cases for an extra few € you can get double the amount of cover. Skip forward a few years if you are planning on having a family, the best time to obtain cover is when your young and in good health, delaying cover can cost you in the long run. Take out a term policy as opposed to a mortgage protection policy; don’t be fooled into believing that a mortgage protection is the best policy just because you are taking out a mortgage. Ask about the conversion option, the ability to extend the duration of the policy without evidence of medical health could be very valuable should you get ill during the term of the policy. Shop around, the market is always full of offers and specials so don’t fell pressurised to stick to one provider. The majority of providers offer a (Price Pledge) so they will match the best price available on the market. Some of the providers now have Nurse / 24/ 7 medical emergency services included in all policies. This can be a very valuable and useful resource should a member of your family become ill or requires medical advice.